It’s been awhile since I’ve written anything of substance here, suffice to say that October is busy, and the day job is going well. There’ve been more pictures and photographers crossing my radar than ever, and I’ve been slow on staying connected with ya’ll here on 2point8. More soon, I hope. 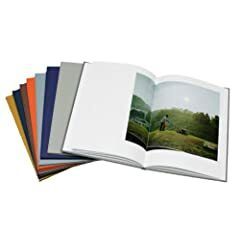 If you live in the Atlanta are, are a photo book collector, and are planning to purchase Paul Graham’s “A Shimmer of Possibility“, please get in touch. I’d love to see it, and it won’t be making it to the Fulton-County Library anytime soon. Shoot, I’ll even bring wine. If you’d like a behind-the-scenes glimpse at what’s been happening this month, pictures from ACP can be found here on flickr, and a blog’s on the way. And again, come see one of my upcoming presentations on the confluence of photography, youtube, and citizen journalism, as seen through the Jena 6 story. Please introduce yourself and say hi. Or you can do it on facebook, where I made the mistake of “inviting” everyone in my gmail contact list (which includes anyone who’s ever been cc’d on an email to you). What a newbie. 5b4 looks at Graham, here.